Eight months after its splashy and controversial acquisition of Nuuvera Inc. – largely for European exposure – Aphria Inc. is doubling down on Germany, acquiring a pharmaceutical importer for €24.5-million in cash. Through Nuuvera, Aphria already had a 1,200 kilogram import deal with CC Pharma GmbH, a drug importer that distributes to pharmacies across Germany. By acquiring the company, Aphria will be able to capture distribution margins, as well as improve its in-country sales force. Aphria will pay CC Pharma an additional sum of up to €23.5-million, depending on ongoing earnings and performance. “It will be a strong addition to Aphria’s presence in Germany, providing deeper access to the important pharmacist channel,” CEO Vic Neufeld said in a press release. Aphria already owns a 25-per-cent stake in a private hospital in Berlin, and is building a storage vault for imported cannabis in Bad Bramstedt in northern Germany. Germany legalized medical marijuana in 2017, and has since emerged as a key export market for large Canadian cannabis companies with European Good Manufacturing Practices certification. Patient growth has been rapid; nearly €31-million worth of cannabis was billed by patients to German health insurers in the first six months of 2018. The supply situation, however, is complex. Imports have to be approved by both Canadian and German authorities on a shipment-by-shipment basis. Meanwhile, in-country cultivation, the target of several Canadian-German joint ventures, has been delayed due to a government tender process that was halted earlier this year following a series of legal challenges. 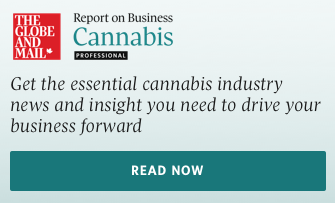 German companies argued, successfully, that tender provisions requiring experience growing legal cannabis put them at a disadvantage to foreign companies also competing for licenses. A new tender – for a total of 10,400 kilograms to be grown over the next four years – was launched mid-summer, and the Nov. 20 submission deadline is fast-approaching. Cancelling the first tender, however, was a setback for companies like Aphria, which had acquired Nuuvera, for around $480-million in shares and cash, in large part due to its position as a finalist in the first German tender process. Aphria may still be in the running for the new tender. Kai-Friedrich Niermann, a German lawyer whose practice focuses on cannabis, estimates that the German government will award three to five cultivation licenses, and at least two will go to Canadian joint ventures. The fact that Aphria is buying an import business, however, suggests an assumption that imported cannabis will remain a significant source of German supply for years to come. That assumption is shared by George McBride, CEO of UK-based cannabis consultancy Hanway Associates. “The way in which the [German] tender has been restricted has made it very difficult to make a viable business out of cultivating cannabis [in-country], because you're growing it so small, with such high levels of regulations,” Mr. McBride said. An in-country license may prove valuable over the long-term, he said: "If you've got deep pockets, and you can afford a loss-leading operation, you're going to be the first in line when they expand the licenses to allow people to grow more.” But for the next several years demand for cannabis will be met largely through imports, he said. That doesn’t necessarily mean imports from Canada. A number of Canadian companies are already setting up operations within the European Union, but outside of Germany. Canopy Growth Corp., Aurora Cannabis Inc. and Aphria all have operations in Denmark – Aphria having acquired a 15-per-cent stake in a subsidiary of Danish flower grower Schroll Flowers in September. Tilray Inc. has a growing facility in Portugal.